Creating a “Dream Home” may sound daunting, but read today’s post to see what simple things Sariah has done to achieve just that. Hey again, Sariah Tate here from Tricks of the MotherhoodTrade.com. What is the home of your dreams? 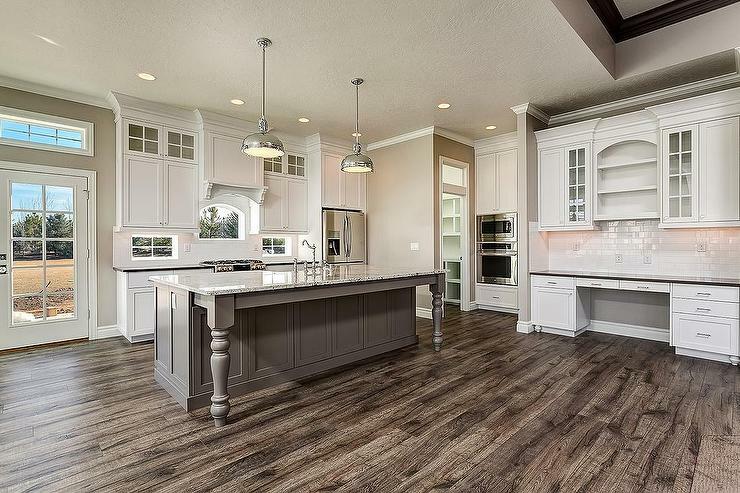 Maybe your mind immediately wanders through your Pinterest boards of beautiful, spacious homes, white cabinets and striking marble counter tops. Perhaps eye catching decor, fun nooks, entertainment areas and play areas with perfectly organized toys and books and on and on. Well, my mind is expert at wandering that direction but I come to also think of a journal entry I wrote when I was pregnant with my 3rd child. I’m not one to describe pregnancy as a glorious and glowing time for me (read this post) but with some conscious effort and deliberate action I can sincerely say it was a sacred and wonderful time for me. I learned a lot and don’t think I have had a time I have consistently felt the sweet whisperings of peace and contentment without the need for many external things. In fact that journal entry reminded me that there was a time I honestly felt like I was living in the home and life of my DREAMS! Which was two young kids, a bloated body, a husband in school, a two bedroom town home and little money to afford anything fancy! What was the secret of my heightened experience? Well, I’m going to let you dive right into my personal journal writings in hopes it can shed some light about light (the Spirit) and its ability to transform our seemingly ordinary moments into rich experiences. Reading through this was a great reminder for me today on how simply we can create a haven in our hearts and extend that to our homes. Something I forget ALL THE TIME!! “A miracle has happened in our family. There is so much peace, calmness, caring and love in our home. It is what every mother dreams of and it is a reality I’m so blessed to live. It has been a journey getting here and there is still a ways to go but everyday I am taught how to create such a home of my dreams. It went from a place where I felt there was so much stress and discouragement for me. Where I was overwhelmed with responsibility and resentful of my job as a mother. I have gone from a wife who resents her husband for not ‘doing enough’ to one that is humble and can finally see his diligent and wonderful efforts. He has turned into the man of my dreams. Through the help of the Spirit I am starting to be that wife that doesn’t seem to need to complain, whine, and dump emotionally on my husband. I am coming to a position to ‘give’ instead of ‘take’ from him. I am starting to love and take care of myself so I actually have something to ‘give’ to him and my family. I now see him more caring and gentle with me, more helpful and loving. I love that I am finally ready to receive. I can finally give and it has transformed me and the entire dynamic of our home. How cool it is to be able to raise children in a home where there is little or no yelling, stress or chaos. Where all family members strive to do their part to clean and help out. I feel that through Heavenly Father’s help I have been able to have dinner ready, clothes ready, house ready for us to thrive with little or no stress. That is the magic. It wasn’t done hurriedly with panic or franticness. I finally made time to do things in a calm, relaxed and happy manner, one in which I can be glad in the things and responsibilities I am over and encourage those around me to help without contempt. What an ideal environment to feel love, to learn, to grow, thrive and ultimately share with others. I am so blessed. This is the bliss the of the Gospel. This is the light, love and order of God. I can’t believe I am so lucky to live in this. I know once this baby comes, things will change. I will be challenged with sleep deprivation, and the stress of a new baby. I will be tempted to go back to my old ways, to complain, to be stressed, and deprived. My house will not be as clean and kept up as it has been. I will struggle in my priorities of wanting to keep a nice house and trying to balance that by keeping my own peace by not overrunning myself or others. If I can keep focus: to love and then to do, then I can keep a center even in an otherwise difficult time. I can trust the Lord in all I do. Not trust that my children will behave perfectly or my house will be in total order, or that my husband will do or say what is written in my mental script but I can TRUST the spirit of love and understanding that is there to help me carry through anytime. It is what is unwavering, it is where true security lies and true freedom. Tapping into in it in all stages of life and learning how to come back again and again. Whoa. That’s really how I felt. That was July, 2014, fast forward almost 2 years later, how am I doing now? Well, I predicted right. Once baby came, so did the chaos. Plenty of sweet feelings but I can not lie, we definitely felt uprooted and tested in many ways. Our relationships, our emotional and physical capacities have been stretched to our max (can you say sleep deprivation, sickness and house infestations?). I laugh to think that at one point I actually had clothes ready and that there was little yelling or stress because that hardly seems the case now! But the possibility is there. Not as a discouraging comparison but as a hopeful beacon of light. When we are tested and uprooted the evidence of our life may reflect we are falling behind, failing or inadequate but in reality it is a sacred space where the demands of life outweigh our current time and energy which cause us to reconsider all our priorities and compel us to seek a power beyond our own. Although externally things may seem chaotic, within us there are many beautiful lessons taught and mindsets shifting to a higher sphere. It is our chance to meet ourselves exactly where we are and strive to connect to God and peace again in all phases of life. When we are pulled right out of our comfort zones, and start to feel the stress and despair that comes with a new growing experience, the journey back to peace and love is where all the lessons, growth and healing take place. We can be transformed by our experiences and we become deeper people with greater room for love, wisdom and ultimately greater joy. I feel like we are slowly bridging the gap to experience more continual peace again and reap the blessings of the growth it took to get there. In that same journal entry I wrote down simple points to help me remember what exactly helps or doesn’t help me feel the Spirit. I believe the Spirit is a real gentle, guiding and empowering force that is always available to all of us if we but make conscious choices to allow a connection to it in our lives. I have experienced its sweet reassurance and transformed my simple family life into a sweet eternal experiences. It is the REAL secret to create a haven in our hearts and extent that to create the home of our dreams! What ways help you feel satisfied with your family life? How do you connect to feeling the Spirit in your home? Here is the feel the spirit pdf download. Sariah, I seriously LOVE this!! I’ve been talking all day about how great it is and how GLAD I am that you shared it. That overwhelmed feeling (being pregnant with #7) is exactly what I’m feeling right now and this post was so perfect for me. Thank you! Mariel! Congrats! Wow, incredible woman you are, girl! Yes. There are few things that compare to the overwhelmed feeling while pregnant! I’m glad this was able to speak to you. Power to you sister and blessings to you and your sweet family. You’re sweet. Thank you!! I’ll miss having you here… even though it was just a couple months, your posts are AMAZING! !